Android Authority is running another Sunday giveaway to gift one of their fans with a brand new Android smartphone! To enter in their latest Huawei Mate 20 Pro Smartphone Giveaway grab your free entries by following few simple steps listed down below! Both also have huge batteries that should last all day, and then some. The Mate 20 Pro comes with a 4,200mAh cell, and the Mate 20 has a 4,000mAh battery. Both come with Huawei’s Supercharge technology, but the Pro gets an upgrade. Huawei Supercharge on the Mate 20 Pro is now up to 40W, which will get you roughly a 70 percent charge in about 30 minutes. 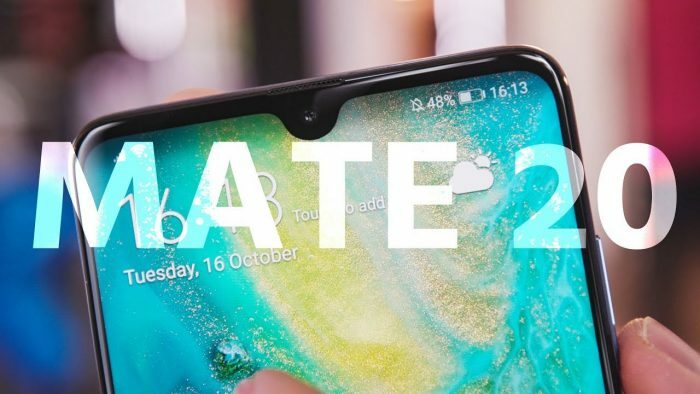 The Mate 20’s Supercharge is the same as it was on the Mate 10 and 10 Pro. Both phones also support 15W wireless charging, but the Pro gets an upgrade here as well. You can actually use the Mate 20 Pro as a wireless charger! I don’t think many people have been clamoring for this feature, but it’s a neat party trick I suppose. GIVEAWAY END: October 27th, 2018 at 11:59 p.m. ET.